The Ponies defeated the Bears 13-2 and established themselves as a serious contender in the Suburban East Conference and Section 4. 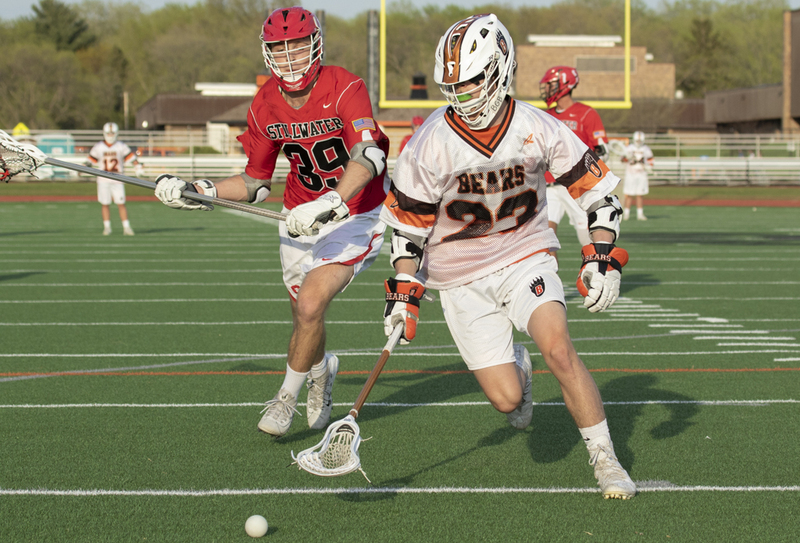 Stillwater made a statement Monday night when it thrashed Suburban East Conference and Section 4 rival White Bear Lake 13-2 at home to remain undefeated this season. The win helped the Ponies establish themselves as a serious postseason contender, with hopes to advance to the program's first state tournament. 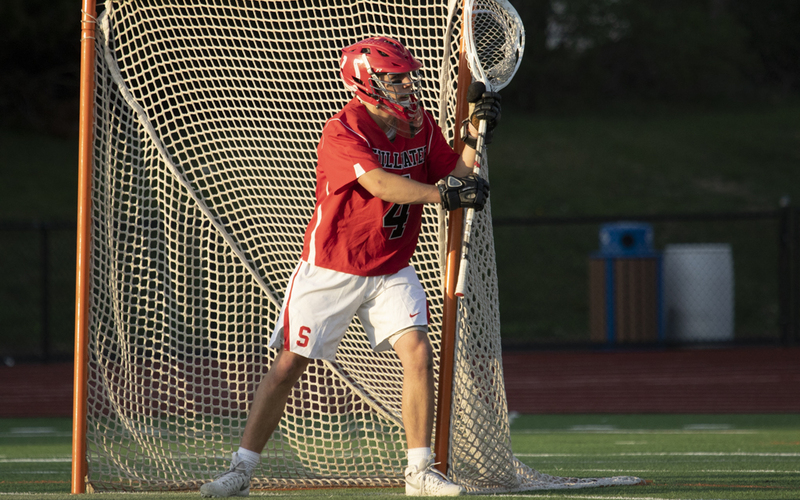 The Ponies had lost their last four matchups with the Bears, one of the longtime powers on the east side, but attackman Tommy McGuire and goaltender Luke Vandenbergh made sure Stillwater avoided extending the streak to five. 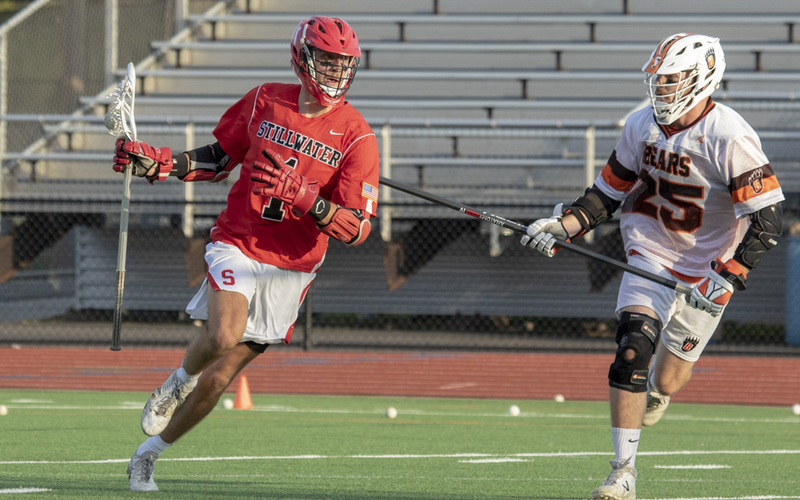 McGuire had five goals and two assists to lead the offense, while the Ponies defense — highlighted by Vandenbergh — continued performing at impressive levels. Stillwater, ranked No. 9 in the latest coaches' poll, had given up 20 goals in five games prior to Monday. Vandenbergh stonewalled a White Bear Lake team that had been outscoring its competition 96-32 this season. The senior didn't waver in goal, where he made save after save to keep the No. 7 Bears from finding the confidence and momentum necessary for a comeback. It was the fewest goals scored in a game by White Bear Lake (6-1, 3-1) in more than a year — the Bears fell at Wayzata 17-3 on April 15, 2017 — and the loss ended a six-game winning streak. Joe Stengl, Ty Thureson and Nelson Summary had two goals apiece for Stillwater (6-0, 5-0). Jace Goudreau and Adam Woodcock each finished with a goal for White Bear Lake. By dispatching the Bears, who had been to five state tournaments since 2008 and won a title in 2015, the Ponies have become one of the top teams on the east side. The Ponies have a chance Wednesday to knock No. 5 Mahtomedi (4-2), a team that has 10 consecutive victories over the Ponies since 2010 and also made three state tourney appearances. A win could make Stillwater the favorite in the section and a legitimate threat at state.